Just saying out loud to ‘not pay off your collections’ seems to go against what feels like common sense. As rational human beings, one might think that simply reducing the amount owed on collections will lift your credit score. Unforunately, that just isn’t how it works. 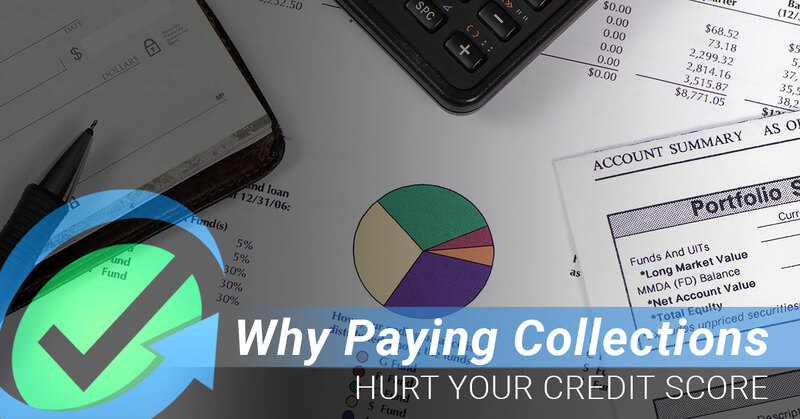 What must be understood is that the credit algorithm is not set up to reward you for paying those collections off. At the end of the day, you certainly do not want to update an old item and refresh its ‘date of last activity’ (DLA) to the day you pay off or pay down that collection. Beyond that, even after it may be paid off, that line item could still be carrying the heaviest rating on the MOP index; the dreaded nine rating. If you need My Credit Guy’s help with your own situation and would like to receive a non-obligatory, free review of your credit, don’t hesitate to contact us today! One of our expert team members will be in touch to discuss feedback, recommendations, and possible next steps to get you back on track.